Amelia's birthday is coming on Monday! 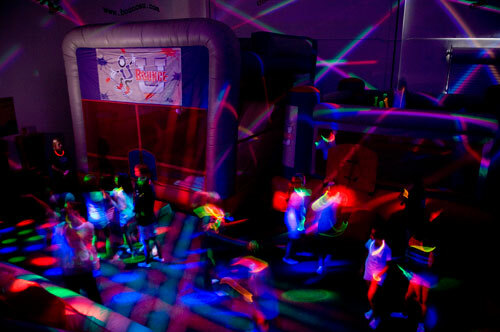 We are looking forward to a very fun party at BounceU in Kennesaw, where they always have private parties and now sparkling, glowing cosmic bounce! Per the birthday girl's request, she will have a Tinkerbell birthday cake and will be receiving an adorable set of Tinkerbell hard-sided roller luggage for our next traveling adventure. What she doesn't know is that she will also be getting tickets to the upcoming Disney on Ice presents Worlds of Fantasy playing at the Arena Gwinnett Center on May 1-5. I look forward to the show - these shows are always entertaining and exciting - but I especially can't wait to see her face when she sees TINKERBELL! Disney characters and artwork, © Disney. Disney on Ice presents Worlds of Fantasy will feature beloved characters from Cars, Toy Story, The Little Mermaid, and Tinkerbell. From salsa dancing fish to the acrobatic animal fairy, Emmy Award®- winning choreographer Sarah Kawahara combined dance and theatrics to compliment the excitement and energy of the show. Do you have tickets yet? If not, be sure to save $5 per ticket with the code BLOGD29 for online and phone orders. I received tickets for Disney on Ice and a party discount from Bounce U in exchange for spreading the word about our experiences. All opinions are 100% mine.